Golf and Environment – can golf be good for nature? How might golf and nature support each other? CAN GOLF BE GOOD FOR NATURE? I play golf. And I am committed to nature conservation. Is this an insolvable conundrum, or can the two passions be reconciled? “Golf development is becoming one of the most unsustainable and damaging activities to people and the environment,” notes Chee Yoke Ling, environment coordinator of the Third World Network. 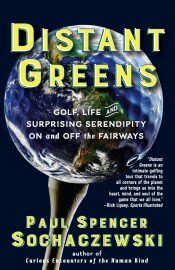 Beijing-based Chee, writing in Third World Resurgence magazine, argues that golf fuels “environmental damage, resource conflicts and even the violation of human rights.” The Malaysian-born environmentalist writes that some golf courses divert agricultural water to maintain turf, golf course chemicals contaminate underground water systems and pose health threats, and some courses damage ecologically sensitive locations. I understand the passion and the stakes. Golf course developers have no business building courses in water-scarce regions like Arizona, southern Spain, or North Africa. They should avoid damaging environmentally and culturally sensitive areas. They should never illegally grab land from villagers. But, a well-designed, well-managed golf course can be good for the environment. There’s an obvious reason why golf is often considered “bad.” In Asia, for instance, where I lived for many years, golf is generally perceived as elitist, and elitism is a red flag for some people, smelling of arrogance and abuse of power. Perception is a powerful mental state; often stronger than facts. 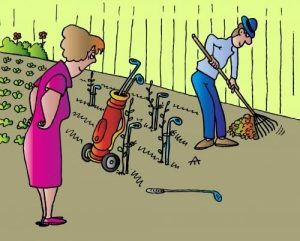 I have intelligent friends who raise their eyebrows when I tell them that a golf course can be ecologically sensitive. But a change of feeling won’t happen overnight; for many folks an “elitist” tag equates with evil, or at least with something that is politically-incorrect, something that is a bit callous and insensitive and frivolous at a time when the world faces serious concerns. South Koreans, who are golf crazy and might be expected to understand a guy’s need to relax on the course for a few hours, hounded a prime minister out of office in March 2006 for playing golf when many voters felt he should have been working. Certainly golf courses pay heavily for the elitist perception. But perception does not necessarily reflect truth. Over the past few years I set out to learn whether golf can, in fact, be a positive force for nature and people. One of the problems, I soon learned, was that there are few criteria for determining “good” and “bad” golf courses. While the United States and Europe have active environmental groups that provide advice and recognition for courses which want to be environmentally-responsible, courses in Asia have few options. Audubon International, which is not related to the better-known National Audubon Society of the United States, has a certification scheme that “helps golf courses protect our environment and preserve the natural heritage of the game of golf.” While they have amassed a long list of certified courses in North America, just five Asian courses, in China, the Philippines, and Singapore, have been certified. For years I have been on a journey in search of environmentally-responsible golf courses. My quest has taken me to dozens of Asia’s leading (and some rather obscure) golf courses to learn whether golf is the work of the Anti-Green Devil or blessed by Eco-Happy-Angels. I got mixed answers. Some Asian golf courses use too much water, spray too many chemicals, steal land from neighboring villages. But I also found a growing number of golf course operators who care about the environment and who have shown that a well-managed golf course run by conscientious people can be good for nature. I’ve played courses which act as watersheds for urban areas. Which serve as de facto nature reserves. Which are buffer zones between town areas and national parks. I’ve played courses in seasonally dry areas which have been constructed with lakes which not only irrigate the course but which are full throughout the year and provide water to neighboring villages. Certainly some Asian golf courses owners will continue to encroach on protected areas, use too many chemicals and disregard environmental regulations. Water use will continue to be a problem — a poorly-designed golf course can use as much water as a small town. But increasingly, Asian courses are following the stricter standards of golf developers in the United States, Europe and Australia. Why this new righteousness? Partly because it’s the law (of course the relevant laws need to be sensible and enforced, as in Singapore). Partly because it makes good marketing sense for resort owners to position their courses as “green.” And pragmatically, an environmentally-friendly golf course can save money by reducing operating costs for energy, water, chemicals and maintenance. This concept is particularly apparent in the United States. Many golf course operators address the problem by choosing grasses which are drought-resistant or which can be watered with brackish water. They use “grey” water from the kitchens for irrigation, and construct rain-fed ponds that act as reservoirs. And they educate their members that not every corner of the course has to look like Augusta National. Environmentalists argue that first, many golf courses, such as Trump’s signature Mar-A-Lago resort in Florida, are constructed on seasonally dry lands where water shortages are common, and that pollution of even small ponds and streams on a golf course would threaten the larger bodies of water into which they feed. So, is golf a sport that I can play with a clear environmental conscience? The answer is a resounding “perhaps.” Depends on the course. Depends on the owner. Depends on lots of things. But the trend seems cautiously encouraging. Paul Sochaczewski is an American writer based in Geneva, Switzerland-based. His recent books include the Curious Encounters of the Human Kind series, Share Your Journey, Redheads, and An Inordinate Fondness for Beetles. His website: www.sochaczewski.com.